This year, our class calendar is being done with Google Calendar. This provides us really streamlined integration with our Google Apps accounts and allows students to sync the class calendar right to a mobile device. The steps to subscribe to the class Google Calendar should be done on the web from a computer by logging into your Google account and choosing the Calendar app from the apps ribbon. 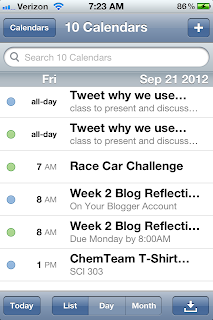 Then, once it is in your Google calendar, you can go to your mobile device and have the calendar push right to you! If you have an Android device, the steps to sync your Google calendar are simple. All you need to do is login to your device with the same Google account with which you subscribed to the class calendar. Done. Then, it comes right to your device. However, if you are using an iOS device, you have to go through a few more steps that are not as obvious, including adding your Google account as a Microsoft Exchange account. Keeping a class calendar can be tough enough, but making it available to everyone outside of your room is almost an insurmountable challenge. Google Calendar makes it really simple to accomplish both. Leveraging the mobile technology along with the Google app creates a perfect combination of accessibility and ease of use. Parents, students, counselors, and other advisors can subscribe to the class calendar and have it come right to their device. 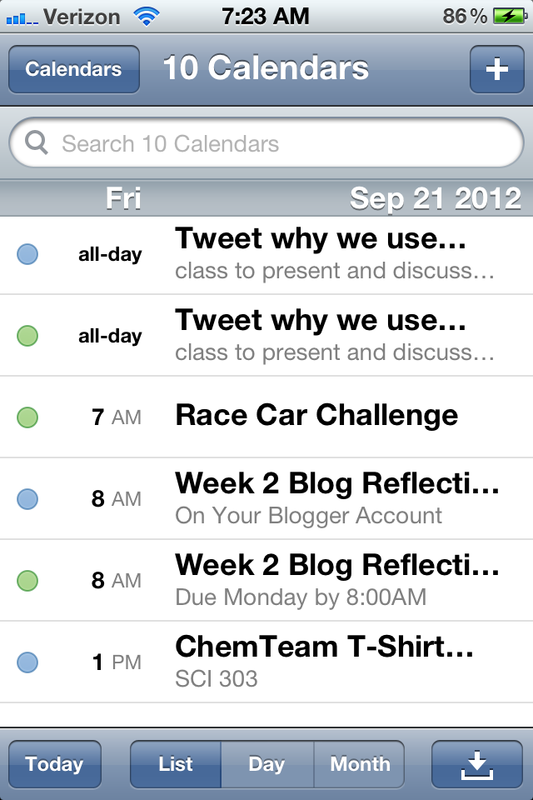 They can set their own reminders for an event on the class calendar and be much more organized for class. If you haven't tried Google Calendar yet, or you ever wanted to have your class calendar available on a mobile device for yourself or anyone else, it is an essential tool for classroom organization. Plus, think of all the paper and board space you will save in the classroom by not having to keep a physical calendar! Need to make a change and communicate it to everyone quickly outside of class time? No sweat--Google Calendars has you covered! Full steps for this entire process of subscribing to, and syncing, a Google calendar are provided in the following tutorial slideshow. There are screenshots as well as step-by-step instructions. This tutorial was made using Skitch for the iPad and MacBook. Jeff Fisher (middle) from 1999-2008 with the Tennessee Titans. Just last weekend, the Detroit Lions and St. Louis Rams opened their NFL season against one another. As the first matchup of the regular season for each team, this game was one that garnered a lot of attention--for a number of reasons. One of those reasons had to do with who was on the sidelines. Jim Schwartz, head coach of the Lions, and Jeff Fisher, head coach of the Rams, not only used to work together in Tennessee, but Fisher both hired and mentored Schwartz before he came to the Lions. It's not very often that these two teams meet, which added to the excitement of the matchup between these two coaches, but learning a little about the background of the coaches' relationship sheds light on why this game was as hyped as it was for both Schwartz and Fisher. Fisher mentored Schwartz and helped him develop in his role as he rose in the ranks to where he is today. Transforming from a student of Fisher's, Schwartz is now a coaching colleague of his on a competing team, but Schwartz didn't try explicitly to make this game about their relationship and history; it was about football. The game itself, as the Lions season always seems to start seasons, had plenty of suspense, excitement and concern; however, as I watched this game and followed the news story surrounding the coaching matchup of "student vs. teacher," I couldn't help but reflect a little on my own career as an educator and how mentors & teachers have helped make me into the successful professional I have become. It's no surprise, even to the those who were least fond of school, that there was something to learn from every teacher you have ever had. For me, I wasn't always the best academic student in high school, but I had great experiences with and really learned a lot from my teachers. I looked up to all of them and saw the rapport in the classroom as more than just a transmission of facts about a subject matter. It was role modeling, mentoring, coaching, and leading all in one. Some of the lessons that I learned from my teachers in school didn't crystalize until much later in life, but I can name something that I learned from every one of them. Now, being a high school teacher myself, and having the privilege to work at my alma mater with some of those same teachers who I looked up to for so long, I really see a lot of the influence that they had on me--it comes out in my teaching and how I think about teaching. I can relate a lot with Jim Schwartz, as he regards Jeff Fisher, because he owes a lot to Fisher for helping him to become as successful as he is. The game was not an opportunity just for a team to win against another team, it was an opportunity to put all the skills, which a teacher passed on to a student, to use; it was a chance to impress the mentor and pay homage to that mentorship. I'd imagine it was a bit nerve-racking for Jim Schwartz, though he categorically downplayed the situation. I remember when I first was considering education as my profession. In trying to answer what I thought was a calling to a profession other than medicine, my first instinct was to connect with some of my former high school teachers. That's exactly what I did. I contacted them and went to do classroom observations. What I saw on those observations looked to me, as one of my mentors typically puts it, "exactly the same, just different" as what I remembered as a student. Some of the things I was observing looked familiar. But as an adult with a few more global experiences under my belt, what they were doing in their classrooms was so much more impressive than it even was before. I had an intuitive sense during those observations, but still a persistent curiosity, about why they were doing what they were doing. Some of it came out in conversations after classes and really sparked my interest more. It really helped me want to be a teacher to see my former teachers teach. So, that's when I decided to answer my calling and pursue teaching. Though they all made it look easy, I learned quickly that it is quite far from easy; in fact, it's about as easy as mastering a foreign language. I took as much away from my education and training to become a science teacher as I could; I learned as much as I could from colleagues in my first two teaching jobs before arriving back at my high school to refine and hone my skills. Never would I have said that I thought I was good enough to be part of that same staff of all-star teachers that I learned from, but when the stars aligned and I had the offer to work there, I turned down the multiple other offers I had for teaching positions to accept the chance to work with those educators at my alma mater. I was honored to work at the same building where I once walked the halls as a student, but moreover the honor came from the chance to work with some of that same staff. I'd imagine that, in a way, the Jim Schwartz and Jeff Fisher coaching matchup has a lot to remind me of what I am grateful for in my career. The mentors I had who taught me math, science, literature, and language, among other subjects, were now my colleagues. I remember how nervous I was coming into the building to teach there at first. My excitement was hardly containable though it was conflated with a familiar eagerness to do my best. The stakes however, were different for me, and could not be downplayed in my mind, like Schwartz claimed they could for him. I was now constantly measuring my teaching up against those who I regarded as the best. I wanted to do my best for myself and for my students; however, I really set a high bar for myself to do a great job, which I wanted to reach, in order to show those former teachers (now colleagues) what a great job they did in teaching me. As I read up and watched the Fisher-Schwartz matchup, I thought about how this is not the first time two coaches went head to head under such circumstances; in fact, it happens often with players and coaches in many sports leagues. I did wonder about all the feelings of humility, respect, gratitude and eagerness that the two coaches must have had toward playing against each other. Although teachers are most certainly not 'playing against one another' in education, teachers and coaches are all 'playing' on the same level, as colleagues. Along with playing on the same level, especially when coaches (or teachers) were on different levels prior, come some expectations placed on everyone involved (both intrinsic and extrinsic) related to the transition period into the new relationship. They may give rise to various perceptions and yet more expectations, but they are natural to any shift in relationship status. In the first head-to-head meeting that would explicitly define their new relationship, Schwartz likely had something to prove to Fisher in this matchup. Primarily, I believe Schwartz sought to demonstrate that he had become the coach Fisher believed he could be. That's a tough expectation to meet, regardless of from where it comes, and yet it could foster sentiments that might be a bit intimidating at times. I think about this every time I have to get up and speak in front of my colleagues. Today, for example, I had to address the entire staff to present a new professional learning community idea, and it never seems to get any easier on the inside for me. As long as there are people in the room who I continue to look up to, I try to stand up fully emerged as Gary the educator, but in my mind I'm still transitioning from Gary the student. What typically runs through my mind is I'm thinking, "Gary, you owe it to these educators to be awesome, because they believed in you and helped you be awesome." Perhaps a part of that sentiment will always remain with me, because, like Jim Schwartz, I have always had high regard for my teachers, but maybe now that they are colleagues that sentiment will continue to help me to always strive to be better. I have participated in teacher rounds and watched some of my colleagues teach. I took something away from all of them as a professional now, just as I did as a student then. I have also been on collaborative teams with them, seeking to do what will best help our students. Most importantly though, the sentiment of always wanting live up to my education role models pushes me to be reflective of what I can do differently and better. With such talent surrounding me in my building, I feel like an Olympic athlete placed in the midst of the best talent of their event, and that both brings nerves and a desire to impress. I'm sure that Schwartz felt some of this sentiment too, on Sunday, as he acknowledged that he was fortunate to have teachers to learn from like Fisher, but would play his team's best football to compete against Fisher's team. All in all, the game was played on the field and what happened on the sidelines is only secondary to the game, but like Schwartz we need to acknowledge our past for where we came from and who helped guide us along the way. Regardless of who the coaches are, maybe the take away from this game is not that the student reached the level of the teacher, but that the student reached that level because of the teacher. And, maybe that's a good enough reason why Jim Schwartz downplayed the matchup. I always tell colleagues that the best things I learned about teaching I learned on Twitter. Recently, I tried out a an activity that was new to my classroom: The Subversive Lab Grouping Game. This activity inspired me to continue with the 'subversive' teaching through games on day two. This activity is one I have done in previous years, but it's been a few and now I have repurposed it based on my success with Frank Noschese's lab grouping game. This is called the Magic Number Cube, and it is a team-building activity that I picked up in the physics modeling workshop I took a few years ago. It's an activity that has students collaborating to think through a goal-less problem in order to learn numerous lessons about my class, including the process of arriving at consensus. My colleague Don Pata and I have discussed in the past the factors which we find to lead most to student success in our modeling classrooms. It turns out that the classrooms with greatest student success are the classes where the students have the best ability to work together to arrive at consensus. In the modeling methodology of teaching science, teachers lead students through the modeling cycle. The modeling cycle requires students to develop mental models based on observations that can explain or predict patterns and relationships in physical situations. Students share their observations and data from experiments with each other through guided classroom discussions and must arrive at consensus based on the evidence to develop a model. Models are then deployed on novel situations and to solve new problems. Without forming consensus, students leave holes in their understanding and questions unanswered about their observations or physical situations we've investigated as a class. This makes the development of a model unstable, and thus the deployment of an unstable model leads to unreliable problem-solving and understanding. This is the reason why forming consensus as a class is so important for students to hone as a skill in the classroom. That's why we go to the lengths to train students in the process of learning in this manner before letting them loose on the content in this way. If they are not well-prepared to learn in this setting of a modeling classroom, then it won't be as great a learning opportunity for them as it could be--and we want the best for our students--so, we have to get them the best opportunities. The opening days of my class are spent on team-building, growing the classroom climate that fosters successful teamwork, and generating consensus friendly discussion. As I mentioned, the first day activity was a lab-grouping game, which was quite successful to communicate several messages to students about focusing on process and working as a team. The second day activity, the Magic Number Cube, continues in this same theme but with a slightly different focus in its message. After an initial vote, we see where the class stands, give students a chance to ask additional questions, change their minds based on any newly shared information, and then revote. When the class arrives at consensus, they erase their whiteboards. The importance of arriving at consensus is discussed with students; the process they just went through to arrive at consensus is made transparent by naming/describing the steps; and the activity is debriefed by students. This activity is a very low-risk opportunity for classes to practice all the skills necessary to doing the model development cycle, whiteboarding, and arriving at class consensus. It was originally used as a get-to-know-you team-building activity when I first saw it; however, I wanted it to be more than just that. It has proven to be a thought-provoking activity to promote discussion and questioning in students as well as demonstrate model development and arriving at consensus. One of the most insightful parts of this activity, and perhaps a subversive outcome, is observing the variety of ideas that students share about what might be on the bottom face. Student-thinking and lines of reasoning are two fascinating elements of education, and this activity illustrates those very well. All too often, school is reduced down to answers. The focus on answers starts early in elementary school and 'programs' student thinking, which leads to a fixed mindset as students get older. The limitations of a fixed mindset are perhaps at the root of many of the challenges students experience in school, but this can all be overcome if the focus is shifted from answers to process, the mindset can become a mind shift. Students can begin to move toward a growth mindset and realize that their potential is up to them. Ultimately, isn't this a message we want students to take away from school and use in their future? I can remember back to elementary school dinner table conversations with my parents and siblings, they even continued into middle and high school. The question was always the same, "What'd you learn at school today?" My responses evolved over time as a student and the level of detail seemed to diminish for some reason. Verbal pattern baldness, perhaps??? Now, looking back to those supper-side chats, I realize that they held a far greater function than I was able to see at the time. The question of "what did you learn in school today?" is really a motivation for a student to reflect on the day. As a teacher, I want my students thinking about my class after they leave. Reflection is something that I hope to foster in my students. But often times, students forget, just as I did at that time in my life, to stop and reflect on the school day. Thinking about what took place, what was memorable, or how the learning connected to outside life are typically low on the priority list and get overlooked. It was not until this past summer, when I took the modeling workshop in chemistry (at Mansfield University in PA) that I really got a contextual understanding of the power of simple reflection. I decided that I was going to blog about the workshop every day and what I learned in the workshop session that day. It was an arduous process to blog every day for me, but I adapted and eventually completed my 15-day project to chronicle the #ModChem12 experience. As I read through my blog posts, and as I chat with others who have read them, I realize that those blog posts solidified my learning in that workshop. Those blogs helped me articulate my take-aways from the workshop and realize how it all went together. It's crystal clear to me, now, how important reflection is to the learning process and to active engagement. As an homage to that timeless dinner table conversation starter, "What'd you learn in school today?" and motivated by my experience with daily blogging after class myself, I wanted to do a project this school year to get students reflecting on class in a digital way. I considered blogs, discussion boards, and chats; however, for a first crack at a project like this, I wanted it to be easily accessible to everyone. Two other considerations I had in developing this project included my nascent rethinking of homework (thanks @mpershan and @kellyoshea) and the 180 Photo Project by an outstanding science teacher in NYC, Frank Noschese. Frank's 180 project sought to document the entire school year in a photo-a-day reel. Thus, I give you my project for this school year--the #Tweet180Project. This project seeks to continue those dinner conversations and have students answer the question "what'd you learn in school today?" in tweets each day. That's it. Simple objective; simple execution; simple motivation. The value of being able to answer that question, in 140 characters or less, can start a conversation, keep a conversation going, or illuminate a new conversation that needs to take place. The #Tweet180Project will encourage students to be succinct in their reflections and provide formative feedback to me in working with students in my teaching. The project definitely has the overarching theme of "what'd you learn in school today? "but the exact iteration of that question may differ from day to day. Each day, I will list the question for students that the will answer. 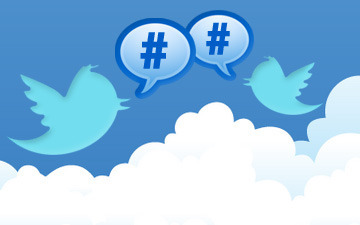 They include our class hashtag in their tweet and answer the question. Pretty straight-forward, right? I hope so. And I hope that this becomes a spark for student growth in reflective thinking. Each day the Twitter task differs slightly, yet still keeps in theme with "what'd you learn in school today?" On day 1, it was: tweet something memorable from class today. On day 2, it was: tweet something unfamiliar from class today. On day 3, it was: tweet something surprising from class today. From time to time, I will try to aggregate example tweets along with the the task prompt and post them. At the end, I hope to have a full timeline of the school year from the student perspective. This will serve as a running record for students as well as to how their thinking progressed throughout the year. Our school has several initiatives going this year, including to get students writing as often as possible in all classes; incorporate collaboration, creativity, communication & critical thinking; make thinking visible; teach digital citizenship; and, to foster a growth mindset in students. The #Tweet180Project aims to target both the propagation of dinner-style "what'd you learn at school today?" questions as well as our building and district initiatives. I'm really excited about the response so far to this project. Hundreds of tweets are going around each day so far, some including photos, about the topics. Igniting small conversations, questions, and good "chatter" about physics and chemistry. As time goes on, I imagine these will increase in quality and quantity. The #Tweet180Project is just one of many things I am looking forward to in my classroom this year with students. It's going to be the best year ever!! **For anyone who is interested in this project idea but perhaps does not use Twitter in class with students, this project resembles what my English teacher colleagues call 'quick writes' and can be done as short journal entries in a notebook at the end of each day. To maintain the concise nature of the Twitter approach, you can even consider putting a character or word limit on their quick writes if you chose to do them in notebooks. Make sure that the prompts honor the main objective of this project--"what'd you learn in school today?" Just find a way to share those ideas aloud among students so that it can become a conversation too.